Centre LifeLink currently operates seven ambulances licensed by the State of Pennsylvania – three at the Advanced Life Support level and four at the Basic Life Support level. Our highly trained EMTs and Paramedics provide the best quality care and service 24/7/365. 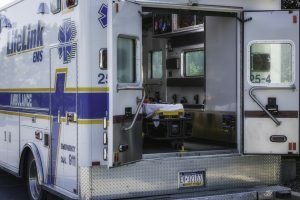 We provide 24-hour ALS and BLS emergency service for the Borough of State College, College Twp., Harris Twp., Ferguson Twp., Patton Twp., and mutual aid to surrounding areas of Centre and Huntingdon Counties. If you are not sure if your address falls under our coverage area, please feel free to contact us.